With character selection based on fan feedback, the Tamashii Net and Bluefin exclusive S. H. Figuarts Dragon Ball Z collection continues with S. H. Figuarts Trunks! 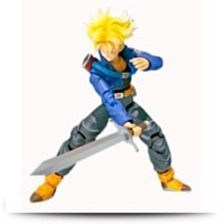 Set also contains 2 parts for Trunks characteristic sword also as an substantial array of interchangeable hand and face (total of 8 facial expressions, 14 hands) parts! 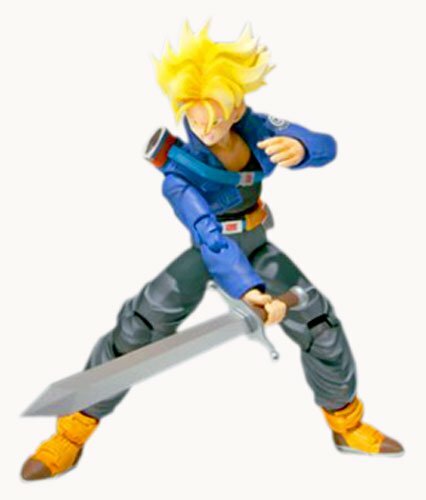 This figure set features accessory parts allowing for the portrayal of Trunks in each typical and Super Saiyan states. Product Dim. : Height: 6.5" Length: 2" Width: 0.5"
Package: Height: 1.8" Length: 7.4" Depth: 6.2"